The Deputy Chief of Party (DCOP) will be responsible for the day-to-day operations lead on the project and provide overall technical and programmatic support to the program, supervise operations and finance personnel, primary responsibility for compliance with USAID and FHI 360 Rules & Regulations, while ensuring high-quality service delivery, outreach, and staff capacity building. Under the Chief of Party’s (COP) strategic direction, the DCOP will foster cross-fertilization between technical teams and project outreach personnel and ensure program delivery of expected outcomes and milestones. The DCOP supports COP and partners as necessary to cultivate relationships with the government counterparts to advance program objectives ensure smooth implementation of program activities. This position will report to the COP and will be based in Tbilisi, Georgia. The position is contingent upon receipt of award, funder approval of key personnel, and project implementation criteria. Cooperate closely with the COP on all technical matters. Provide strategic leadership and project oversight. Lead design and implementation of the program activities based on USG/USAID and Government of Georgia (GoG) education programming priorities and policies. Ensure program activities are evidence-based, adapted to local context and reflect state-of-the-art knowledge and best practices for service innovation and provision. 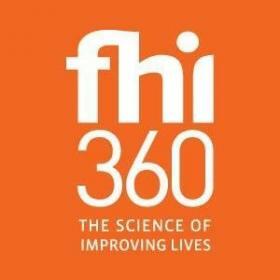 Lead the response to the specified deliverables, goals of grant agreements, ensuring achievements are conducted in a timely manner and in full support and compliance with FHI 360 and USAID grant requirements. Coordinate the development and implementation of the project technical strategies, adapting global and regional technical resources and tools as needed. Oversee a team of technical staff for the project and ensure clear roles and responsibilities and lines of communication are maintained amongst the team members. Ensure the technical quality of all project activities through regular field visits and facilitate work planning and regular technical meetings for all consortium partners. Identify technical assistance and training needs among project staff, partners, and government counterparts and coordinate technical assistance provision. Promote sustainability of project activities with effective networking, coordination and linkages to other programs, partners and counterparts, capacity building of project staff, and institutional strengthening of implementing partners. Contribute to the preparation of annual work plans and progress reports in a timely fashion for submission to USAID. Represent the project in technical meetings, conferences, and coordination platforms. Serve as a program representative in the absence/temporary leave of the COP. Master’s degree (or foreign equivalent) in Education, International Development, Social Sciences, or a closely related field form an accredited university required; Ph.D. or Ed.D. (or foreign equivalent) in relevant field preferred. Minimum 5 years of experience required in the design, management and implementation of international education, teacher development, and development projects. Minimum of 7 years working on development activities with donors, education institutions, and/or private sector foundations. Demonstrated knowledge of USAID rules, regulations, policies, and procedures as they relate to project and program compliance and reporting. Demonstrated expertise in managing international development programs including experience managing education projects with an expertise and specialization in education and teacher development. Demonstrated experience required in performance monitoring, tracking data quality, data management, and/or training in performance management topics. Demonstrated ability to manage projects, consultants, set realistic priorities, and plan for the successful implementation of programs required. Demonstrated ability to work well with others and to develop and maintain compatibility among project staff, subcontractors, consultants, and recipients of assistance required. Ability to perform at a high level and apply diplomacy skills with a wide range of stakeholders (i.e., students, teachers, educators, school directors, pedagogical instructors, methodologists, education department leaders, GoG members and its affiliates, community members, business partners, and donors). Strong interpersonal, analytical, and communications skills required. Excellent oral and written communication skills in Georgian required. Fluency in English required; additional Russian language proficiency preferred.